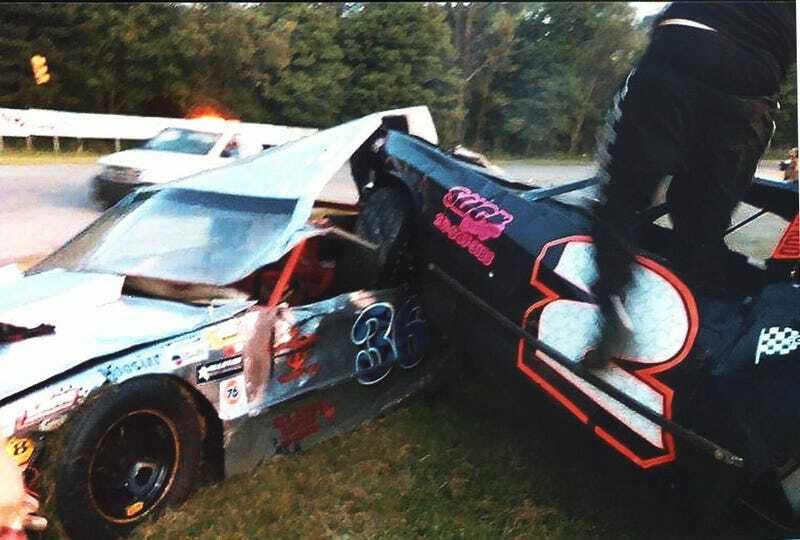 In a case that might make you think of Tony Stewart for some odd reason, a racecar driver in Michigan intentionally crashed into an opponent in what looked like an attempt to kill him. Charged with the felony of assault with a dangerous weapon, a jury found him not guilty. Lance Gary was drving his car on May 26 at Galesburg Speedway after the race ended and just happened to ram into the car of Matthew Elsey. Gary and Elsey had been feuding on the track and, where else? - Facebook. So when people saw the “accident” take place, most believed it was no accident. Among other things, Elsey’s car was in the winner’s circle when Gary rammed into it. And since Gary had not won the race, he had no business being there in the first place. Gary only intended to catch up to Elsey to “bump” him to let him know he wasn’t happy with Elsey’s actions on the track during that day’s race. The jury apparently accepted that racers are allowed to “bump” one another whenever they feel like it, even after the race and even in the winner’s circle. Maybe you can follow him home and run him over in his driveway? Hey, I wasn’t there so maybe there’s more to this story. But having practiced law in Michigan for 24 years I can tell you that juries sometimes get cases horribly, horribly wrong. EDIT: Sorry. I had read a report that Elsey had died. I fixed it. Still a crazy result.